How long do I have to file a lawsuit against the drunk driver who caused my accident in North Richland Hills? If you were injured in a drunk driving wreck while commuting to UTA on Northeast Loop 420, or on any other busy road in North Richland Hills, one of the most important laws to understand is the statute of limitations. This is the time period you have under Texas law to file a lawsuit against the drunk driver for compensation for your injuries. If you miss the deadline set by the statute of limitations, you may lose your right to hold the drunk driver responsible for compensating you. The deadline is two years from the date of your crash to sue for the cost of repairing or replacing your vehicle and any property in it that was damaged. You also have two years from the date of your wreck to file a lawsuit for compensation for your personal injuries, such as medical bills, lost wages, and pain and suffering. If a loved one died as a result of a drunk driver’s negligence, the statute of limitations is slightly different. You must file a wrongful death action within two years of his death, not the date of the accident. If you fail to file a lawsuit within this time period, you may waive your right to sue the negligent driver and the judge could dismiss your case. However, even if you think you missed the statute of limitations, you should consult with an experienced car crash attorney because your collision may fall into a limited exception to this rule. If your accident in North Richland Hills occurred recently, this does not mean you should wait to retain an experienced attorney. It is always best to contact an attorney as soon as possible after your wreck. By doing so, you give him the opportunity to more thoroughly investigate how it occurred. For example, he may go to the scene of your collision to look for missed evidence and can contact witnesses who saw what happened before they disappear or their memories fade. He can also guide you through the process of filing your claim and help you avoid common mistakes that North Richland Hills crash victims inadvertently make. At the Hart Law Firm, we have years of experience fighting for the rights of victims who work and live in North Richland Hills and are injured in drunk driving wrecks. Let us take over the burden of holding the negligent driver responsible for compensating you so that you can focus on recovering from your injuries. Contact us online or call us directly at 817.380.4888 to schedule your free consultation at our Colleyville office. We also help injured victims throughout Texas including Arlington, Grapevine, Bedford, Hurst, Euless, Irving and all points in between. 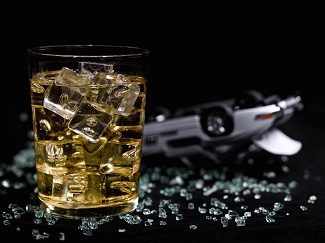 What Compensation Am I Entitled to If I Am Injured by a Drunk Driver?